Thus ends the preface of An Essay on the Restoration of Property, a short but monumental work on economics by Hilaire Belloc, one of the past century’s most prolific and influential Catholic writers.1 Perhaps no one more than he – nicknamed “Old Thunder” by his mother because of his fierce temperament 2– shook the Catholics of his day from their lethargy and challenged them to apply in practical ways the principles outlined by Pope Leo XIII’s landmark encyclical, Rerum Novarum (“On the Condition of the Working Classes”), for the restoration of a truly Catholic social life, particularly in the area of economics. Unfortunately today, critics and supporters alike of distributivism – also called distributism or distributionism – tend to distort, exaggerate or even contradict what Belloc has written on the matter. 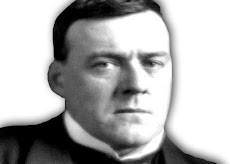 Whether out of simple ignorance or in a deliberate attempt to divorce Belloc’s views from their roots in authentic Catholic social teaching, the end result is that his distributist writings are too often represented as outdated and irrelevant to contemporary Catholics searching for solutions to the social ills of our day. The purpose of this present study is to identify several of the more prominent distortions of his thought, allow Belloc himself to respond to them3, and demonstrate that his views are fully in line with Catholic social teaching. “Economics is the science which studies primarily the personal relations which constitute the family, the relations of husband and wife, parents and children, masters and servants, and then, secondarily, the relations of these persons to external goods (the right of property and the use and acquisition of wealth). Etymologically, economy is the government of the home and of the family5. Economics studies families in the constituent relations of their members and then in their conditions of existence”6. “It is obvious that whoever controls the means of production controls the supply of wealth. If, therefore, the means for the production of that wealth which a family needs are in the control of others than the family, the family will be dependent upon those others; it will not be economically free. The family is ideally free when it fully controls all the means necessary for the production of such wealth as it should consume for normal living”7. “such an ideal is inhuman and, therefore, not to be fixedly attained, because man is a social animal. It is not impossible of achievement for a short time, and has been briefly achieved whenever a lonely settler has fixed himself with his family and his stores in an isolated spot. But such complete economic freedom for each family cannot be permanent, because the family increases and divides into further numerous families, forming a larger community. Moreover, even were the isolated free family to endure, it would fall below the requirements of human nature, its isolation stunting and degrading it. For men cannot fulfill themselves save through a diversity of interests and ideas. Multiplicity is essential to life, and man to be truly human must be social”9. 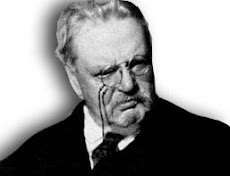 “Society being necessary to man, there arise in the economic field these two limitations to economic freedom:—First , Difference of Occupation: Each in a society will concentrate upon what he has the best opportunity for producing and, by exchanging his surplus of it for that which another has the best opportunity of producing, will increase the wealth of all; or what comes to the same thing, lessen the burden of labour for all … For though the family exchanges its surplus, or even all its production, for the surplus of others, yet it retains its freedom, so long as the social structure, made up of families similarly free, exercises its effect through customs and laws consonant to its spirit: the Guild; a jealous watch against, and destruction of, monopoly; the safeguarding of inheritance, especially the inheritance of small patrimonies”10. “— Second, A Principle of Unity: There must exist in some form the State. A sufficiently large unit for the development of the Arts and the better complexities of life must be organized. Its power must be appealed to for the satisfaction of justice, the prevention of internal disorder and for the arrangement of defence against external aggression. In general the State must exercise some restraint upon the ideal economic freedom of the family or freedom itself cannot be guaranteed”11. “There must be laws to protect property not only against direct rapine but against dissolution through the exaggeration of competition. There must be State sanction for the powers of the Guild, for the process of Inheritance, for the restriction of undue burdens. There must be some official machinery for fostering the propagation of small property just as there is official machinery today fostering the destruction of small, widespread property by large owners…” 14. “our effort will fail unless it be accompanied by regulations making for the preservation of private property, so much of it as shall have been restored… Well-divided property will not spring up of itself in Capitalistic society. It must be artificially fostered. Communism will spring up of itself in Capitalistic society, for it is a product of Capitalist thought and moves along the same lines as Capitalism. But well-divided property will not so arise. Moreover, once restored, Property must be constantly sustained or it will lapse again into Capitalism… [Historically,] Capitalism only arose after the safeguards guaranteeing well-distributed property, private property, had been deliberately broken down by an evil will insufficiently resisted. It was not Capitalism that came first and gradually dissolved the institution of well-divided property; it was the conditions under which alone well-divided property could survive, and had survived for centuries, which were first destroyed. Only then, after their destruction, was the field free for the growth of plutocracy in politics and Capitalism in the economic structure of the State”15. “Economic freedom is in our eyes a good. It is among the highest of temporal goods because it is necessary to the highest life of society through the dignity of man and through the multiplicity of his action, in which multiplicity is life. Through well-divided property alone can the units of society react upon the State. Through it alone can a public opinion flourish. Only where the bulk of the cells are healthy can the whole organism thrive. It is therefore our business to restore economic freedom through the restoration of the only institution under which it flourishes, which institution is Property. The problem before us is, how to restore Property so that it shall be, as it was not so long ago, a general institution. "Three provisos must be kept clearly in mind before we approach the problem and attempt its practical solution. “The first proviso is that in the restoration of property we are not attempting, and could never reach, a mechanical perfection. We are only attempting to change the general tone of society and restore property as a commonly present, not a universal, institution. “The second proviso is that we cannot even begin such a reform unless there is a favorable state of mind present in society, a desire to own property, sufficient to support and maintain the movement and to nourish institutions which will make it permanent. “The third proviso is that in this attempt to restore Economic Freedom, the powers of the State must be invoked”17. De Marco than declares that “the separation of Distributivism and Religion has been established”19. “It is the opinion of some, and the error is already very common, that the social question is merely an economic one, whereas in point of fact it is, above all, a moral and religious matter, and for that reason must be settled by the principles of morality and according to the dictates of religion”21. 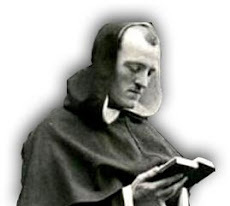 “The indirect power of the Church over temporal affairs, whenever the interests of the Divine Life of souls are involved, presupposes, of course, a clear distinction of nature between the ecclesiastical authority, charged with the care of divine things, and the civil authority, whose mission is concerned with purely temporal matters. In proportion as the Mystical Body of Christ was accepted by mankind, political and economic thought and action began to respect the jurisdiction and guidance of the Catholic Church, endowed, as she is, with the right of intervention in temporal affairs whenever necessary, because of her participation in the spiritual Kingship of Christ. Thus the natural or temporal common good of States came to be sought in a manner calculated to favour the development of true personality, in and through the Mystical Body of Christ, and social life came more and more fully under the influence of the supreme end of man, the vision of God in three Divine Persons. “Accordingly, Catholic Social Order, viewed as a whole, is not primarily the political and economic organization of society. It is primarily the supernatural social organism of the Church, and then, secondarily, the temporal or natural social order resulting from the influence of Catholic doctrine on politics and economics and from the embodiment of that influence in social institutions”22. 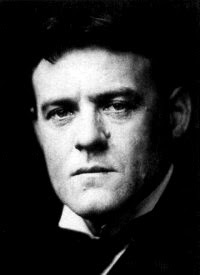 Belloc embraces the moral nature of all of man’s actions, in both the spiritual and temporal dimensions, when he defends the intrinsic good of economic freedom for individuals: “We cannot do good, or evil, unless we do it freely; and if we admit the idea of good at all in human society, freedom must be its accompaniment”23. Thus Belloc does not, like some distributivists, embrace the “fatal theory”24 and seek to tear asunder what God has joined, but respects and defends the Divine Truth that all aspects of society and culture must tend towards the salvation of our souls. “There will be many comparatively poor, and some comparatively rich. There will presumably be some portion of dispossessed. But Property, and its accompaniment, Economic Freedom, will be the mark of society as a whole”28. In reality, the solutions he proposes are eminently human, and always tending towards the salvation of the soul. For Belloc, “property is essential for a full life”29. While others seek to oversimplify the problems, eliminating this or that element of the issue at hand, Belloc looks at life in all of its beautiful and complex reality, and proposes something bluntly honest: “But whereas the Servile State to which we are now tending can be complete, the Proprietary (or Distributist) State neither can, nor should be, complete; for it cannot of its nature be mechanical”30. He says elsewhere, “There can be no perfection about it; it must remain incomplete; nor could there be a better proof that the attempt is a human one, consonant to human nature”31. “It has been found in practice, and the truth is witnessed to by the instincts in all of us, that such widely distributed property as a condition of freedom is necessary to the normal satisfaction of human nature”32. In rejecting all or part of what is essentially distributist, critics reject also what is essentially Belloc: the common man, the family man, the faithful son of Holy Church. (1) An Essay on the Restoration of Property was first published in 1936 by the Distributist League. It is now under the domain of the Hilaire Belloc Estate. Belloc lived from 1870 to 1953. (2) Old Thunder: A Life of Hilaire Belloc, by Joseph Pearce, p. 1. (3) All quotes of Belloc are taken from An Essay on the Restoration of Property as reprinted by IHS Press, Norfolk, VA, 2002. (4) “What’s Wrong with Distributivism?” by Dr. Todd R. Flanders; http://www.acton.org/ppolicy/adjunct/papers/distribute.html, p. 1. (5) Internal footnote: Lecons de Philosophie Sociale (vol I, p. 148), “Economy, as its name expresses, studies the order of the human household, arranging, according to their respective values, persons and things (Philosophie Economique, by J. Vialatoux, p.78. (6) The Mystical Body of Christ in the Modern World, by Denis Fahey, C.S.Sp. (Third Edition), p. 6-7. (7) Essay, pp. 25, 26. (8) “Capitalism Defended” by Dr. Thomas E. Woods, Jr., Remnant Sept 30, 2004 (p. 13). (15) Ibid., p. 39-40, 41. This appears to echo perfectly the thoughts of Leo XIII in Rerum Novarum, May 15, 1891, paragraph 6: “After the old trade guilds had been destroyed in the last century, and no protection was substituted in their place, and when public institutions and legislation had cast off traditional religious teaching, it gradually came about that the present age handed over the workers, each alone and defenseless, to the inhumanity of employers and the unbridled greed of competitors. A devouring usury, although often condemned by the Church, but practiced nevertheless under another form by avaricious and grasping men, has increased the evil; and in addition, the whole process of production, as well as trade in every kind of goods has been brought almost entirely under the power of a few, so that a very few rich and exceedingly rich men have laid a yoke almost of slavery on the unnumbered masses of non-owning workers.”(16) Essay, p. 95. (18) This concept of separating commerce from morality is actually capitalist in origin. As Amintore Fanfani relates in Catholicism, Protestantism and Capitalism: “Another difference between the mentality of the pre-capitalist and that of the capitalist is this: the former considers that appraisement of value in the economic sphere should be governed by moral criteria; the latter would make the economic criterion the sole norm of such appraisements” (emphasis mine). Interestingly, as an aside, the thesis of his book is that the errors of Capitalism actually arose from and were fostered by corrupt Catholics towards the close of the Middle Ages – and helped precipitate the end of that era – rather than by Protestants at a later period, as is believed by many. (19) “Against ‘The American Distributist’ by Daniel Krotz” by M. De Marco, http://mdemarco.web.wesleyan.edu/gkc/distrib/essay.html, p. 1. (20) See Pope Pius IX’s Syllabus of Errors, December 8, 1864, especially paragraphs 3, 4, 6, 8, and 9. Paragraph 4 reads: “All the truths of religion proceed from the innate strength of human reason; hence reason is the ultimate standard by which man can and ought to arrive at the knowledge of all truths of every kind.” – Condemned. Also see Fahey’s The Mystical Body of Christ in the Modern World, Chapter 4: “The Revolutionary Deification of Man,” Section D – Rationalism, Naturalism and Revolution. (21) Graves de Communi Re, January 18, 1901, paragraph 11. (22) The Mystical Body of Christ in the Modern World, p. 5. (24) Libertas Praestantissimum (On the Nature of True Liberty), by Pope Leo XIII, June 20, 1888, paragraph 18.